Kennell Orthodontics Announces the 2018 Refer-a-Friend Winner! How to Survive Cold and Flu Season Here's What You'e Been Waiting for—2019 Refer-A-Friend Contest Details!! Dr. Alan Kennell and his staff at Kennell Orthodontics are pleased to announce the winner of the 2018 Refer-a-Friend contest – Connor H. of Franconia, NH! Kennell Orthodontics realizes the greatest compliment received is when one of their patients refers a friend or colleague to their practice. To show appreciation to patients for these referrals, Dr. Kennell developed the Refer-a-Friend campaign. This campaign, which focuses on new patient treatment plans from qualified referrals, rewards Refer-a-Friend participants with a Visa Cash Card and an entry into the grand prize drawing. Connor had multiple entries from his multiple referrals that gave him a greater advantage on having his name picked as the Grand Prize Winner! 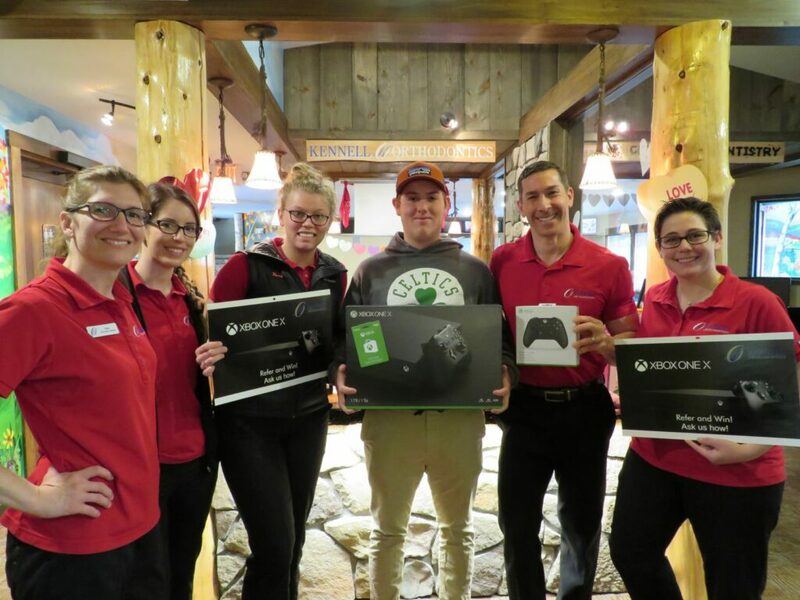 As the Grand Prize winner, Connor is the new recipient of an Xbox One X prize package!